Manufacturer Backed Warranty. Dual Pane Safe. Dye Free and Metal Free. Will Not Fade or Corrode. Windows provide us with healthy natural day light and views of our world but they are often inefficient in today’s reality of rising energy prices. Excessive solar heat pouring through your windows can account for up to 40% of your summer cooling bill. Stopping the heat at the point of entry with solar window film creates a cooler and more comfortable environment while reducing cooling cost. Our GEO Series utilizes the very latest in American nano-ceramic titanium nitride sputtering technology to provide maximum (IR) heat rejection with low visual reflectivity. State of the art processes and durable components make this film a favorite of discerning customers. We have four types of films to choose from: the 30, 40, 50, 70. Below are specifications for each type respectively. 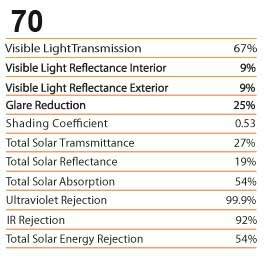 Our best selling product, IRIS 70 is virtually invisible on glass, yet blocks up to 54% of the sun's total solar energy. IRIS is designed for applications where high visibility and heat rejection are critical. 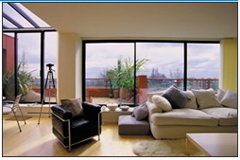 You’re enhancing the appearance, performance and value of your home using Hanita window films. Carbon Reduction – reduced energy consumption and energy demand results in less greenhouse gas emission and carbon during energy production and carbon footprint for the building. 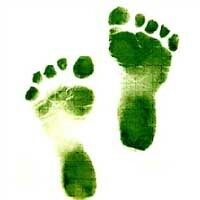 For more information about Carbon Reduction. Energy Efficiency – in air-conditioned buildings, HanitaTEK window films can reduce solar heat gain thereby reducing both energy consumption and energy demand which in turn reduces cooling costs. Fading Reduction – by virtually eliminating ultraviolet (UV) radiation and reducing solar heat gain and glare, HanitaTEK window films can provide a barrier of protection for fabric and furnishings as well as occupant skin cancer. Theft / Glass Safety – the appropriate HanitaTEK window film can hold the glass together during accidental or intentional impact, improving safety and reducing theft. 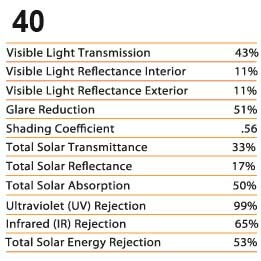 Glare Reduction – whether for visual comfort or other benefits, the appropriate HanitaTEK window film can reduce excess glare in buildings. The SolarZone Dual Reflective product lines — OptiTune and Titan — combine a reflective outer layer for high solar energy rejection with a less reflective inner layer to preserve the view outside and maintain indoor ambiance. OptiTune and Titan deliver high levels of protection from solar heat. 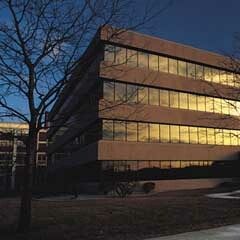 They cut energy costs by reducing the need for air conditioning and boosting energy efficiency. Dual Reflective films are ideal for commercial and residential energy-upgrade glazing projects when the customer wants quick payback but wants a neutral interior that preserves the view outside. 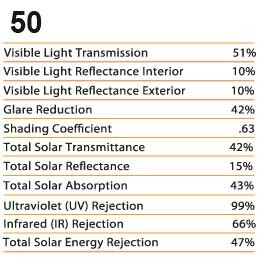 OptiTune combines high solar energy rejection with low internal reflectance. 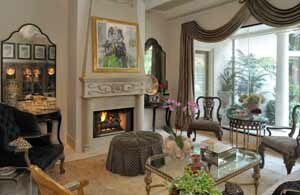 Its warm neutral interior is ideal for residential and commercial installations. Titan neutral grey films give high performance and added value. Both Titan Duo (Interior) and Titan Xtra (Exterior) combine privacy with excellent interior visibility both day and night, cutting glare by up to 92%. Extremely energy efficient, Titan Xtra provides excellent solar heat rejection and rapid payback. In fact, Titan Xtra 07 is the best energy saver in the SolarZone line, and it suits even the most sophisticated glazing systems. SolarZone Cold Steel films add a subtle gray appearance to glazing for an extremely effective reduction in heat gain and glare that preserves the natural view through the glass. Manufactured using a patented process. Cold Steel’s attractive neutral color delivers excellent solar energy rejection with a surprisingly low visible light reflectance. Cold Steel presents an ideal solution for economic energy-saving projects when it’s important to preserve views and retain a natural appearance — both inside and out. 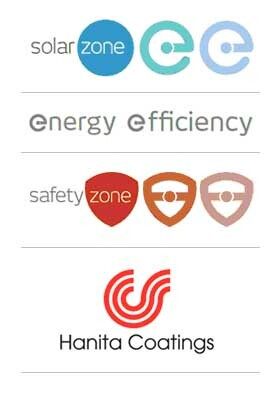 Also available as 6 and 10 mil energy-saving security laminates under the SolarZone Safe range. Solar Gard® is manufactured in a clean room environment under ISO 9001:2000 standards - available in soft subtle hues of greys and bronze, to striking silvers and stainless steel. 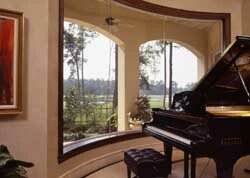 Solar Gard window film is ideal for any property where maintaining sunlight while reducing heat is important. 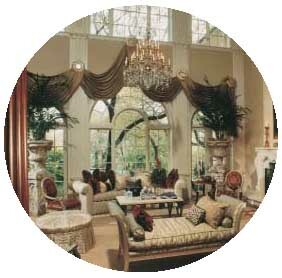 Solar Gard Window Films are thin, multi-layered pieces of optically clear film that are retrofitted to the inside surface of glass to help you save significantly on energy costs, maintain a more comfortable and productive environment, reduce interior fading and improve exterior appearance. Solar Gard films are sputter-coated with durable, exotic metals such as titanium, stainless steel, copper, gold, silver, aluminum and other alloys. 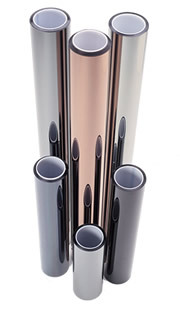 These varying combinations of metals are what gives Solar Gard its exceptional solar performance capabilities and color. 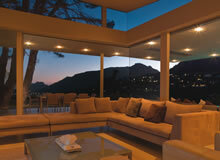 Professionally installed, Solar Gard window film comes in a range of products to fit all your solar protection needs. maintaining ample levels of natural light. The Solar Gard Stainless Steel series is a widely accepted solar-solution for homes and buildings around the globe that also need the protection of a safety film. These films are grey-toned with a low reflective quality that makes them a natural complement to most interior and exterior color schemes. The stainless steel metal, laminating adhesives and scratch-resistant coating used in this film series provide high performance, durability and longevity – making it the preferred choice of many. 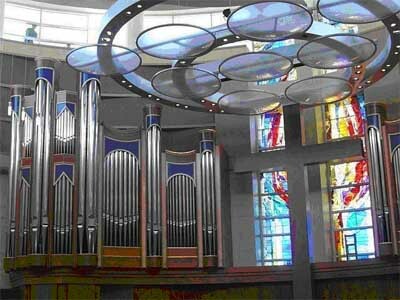 Performance results were generated from testing 1/8” (3mm) thick clear glass and have been measured, calculated and reported in accordance with ASTM, ASHRAE and AIMCAL standards. Performance results are subject to variations within industry standards. Specific performance results are available upon request. TrueVue comes with a limited lifetime residential or a 10 year commercial warranty. The patented Quantum films are fully metallized for maximum heat control and color stability.. Unlike conventional films which comprise dyed layers, Quantum films are warranted to never change color for the life of your home in residential applications. 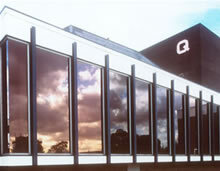 Quantum films offer high heat and glare rejection and are available in safety film thicknesses for the added protection against accidental breakage or forced entry. Quantum films also offer low reflectivity so you won't have to live with a mirror look day or night. The Solar Gard Solar Bronze series adds a warm copper finish to architectural windows, harmonizing with natural, earthy color schemes. 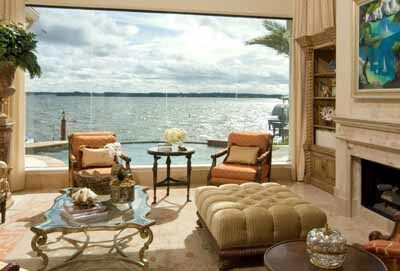 These films provide high heat rejection and excellent privacy while still maintaining decent levels of natural light. 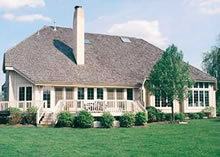 Add sophistication and beauty to your property with Solar Bronze. at the same time," said building manager. the company - it paid for itself and much more!" The Solar Gard Aluminum series includes a wide variety of films, constructed of rare and precious metals such as Gold, Silver and Bronze. This series offers optimum privacy with minimal heat transmitting into your environment. A popular choice for commercial properties – Solar Gard Aluminum series keeps occupants cool and comfortable, while yielding significant energy consumption reduction. The serious films for serious results! and glare resulting from Solar Gard. Plus, energy bills are lower! Solar Gard® Silver AG 50 Low E window film can reduce your home's energy consumption during both cold and warm periods, providing year round energy and cost savings. quickly apply a fresh layer. Protects public and private property from vandalism. 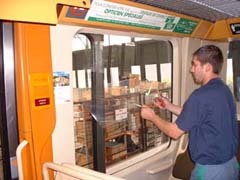 Solar Gard’s Graffitigard protective film is a durable, optically clear and removable product that acts as a sacrificial barrier between vandals and the surfaces they cover, including interior and exterior glass windows and mirrors, as well as other non-porous surfaces like stainless steel and marble. The unnoticeable film protects surfaces from paint, key scratches, marking and even acid-etching. When vandalized, the film is easily removed and replaced for clean-up – reducing property damage and maintaining aesthetics. From shopfronts to overpasses, Graffitigard is increasingly popular because it is far less expensive to replace and install a fresh layer than to replace what it protects. Protect your public surfaces from deliberate and unintentional damage with Solar Gard graffiti protective films! Contact the Webmaster with any questions or comments regarding this site, thank you.